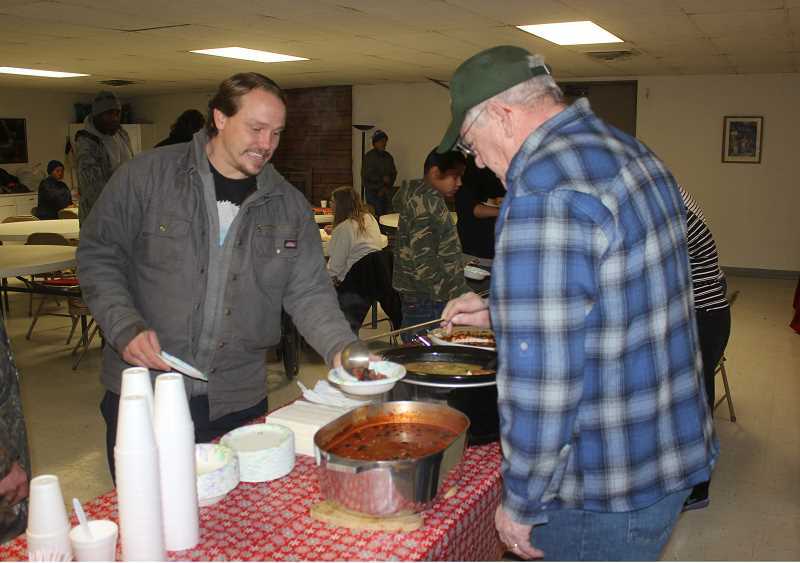 Local homeless community surveyed and helped during annual Point-in-Time count and fair. 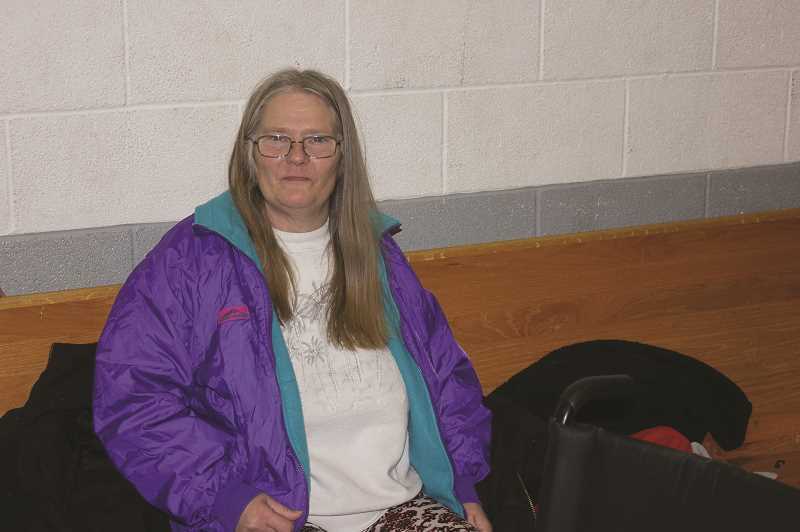 Danette Wallen, a Madras resident since 1992, returned to the Point-in-Time homeless count and resource fair this year at the First Baptist Church, which she considers a valuable community asset. "We came down here last year,"said Wallen, describing how the town has changed over the years since she first arrived, when there was a drive-in movie theater and different restaurants. That's not the only thing that has changed around town, said Wallen, mentioning the improved resources now available for those who are struggling. "I know that they have shelters here in Madras that they didn't have before, like LINC and Neighbor Impact. They didn't have those resources along time ago," she said. The annual Point-in-Time Count is meant to "provide a snap shot of the community's homeless population." Those that come in have access to the Community Resource Fair as well, which includes things like being able to go through donated clothing and take what they need or get a flu shot. The Point-in-Time piece of the event consists of a survey, which organizers like Austin Cooper, LINC director, help walk people through. "(The survey) does get a little confusing," she said, which is why they walk participants through it. Cooper said that the survey is made by the federal government and it asks some pretty personal questions about addiction, alcoholism and mental illness.
" People are very open and very willing to take the survey in my experience," Cooper said. "People like to be heard." The survey had been going on for several days around the area, but, Cooper said, they were hoping for about 100 surveys filled out on Friday during the event. "It's really important that we capture our homeless population every year, so we can continue to get the funding that we need," said Cooper. Much of the funding in the area comes from the government, in one form or another, and a count is necessary to keep that funding coming in. Once participants are finished with the survey, they received either a $5 gift card to Dollar Tree or a Hydroflask. Cooper told a story about what a $5 gift card can mean to someone. She said they had a woman come through and take the survey and upon completing it, choose the Dollar Tree card. Cooper said that this woman was excited because she wanted to get some makeup with the card — something she didn't currently have. As Cooper put it, something simple and human. Currently, Wallen and her husband, Darrell, are struggling to find a place to stay, which she said is their biggest challenge. "My husband and I are going through Supportive Housing to see if maybe they can help us find a place," she said. "We're are doing OK so far," she said, but in May, Wallen had a stroke and it has been difficult for her to get around since. "That's why I've got my wheelchair, and it is really hard. I want to be back the way I used to. I used to be able to walk normally," Wallen said. Despite the struggles though, "I'm just looking at the positive; I don't want to look at the negative stuff," Wallen said. "I'm glad they are having this thing; that way, all of us can get in here and get what we need." "My husband and I used to have a place a long time ago, and if our friends came over and they didn't have a place to stay, I let them stay with us," she said. If she had a place now, Wallen said she would want to help out others in that same way. "I know how it is and it's hard. If we had a place of our own now I would do the same thing," she said. The results of the count won't be available for several months.